I admit, it’s pretty rare that I share a recipe here on Dream in Lace – so when I do, know it’s one I LOVE! 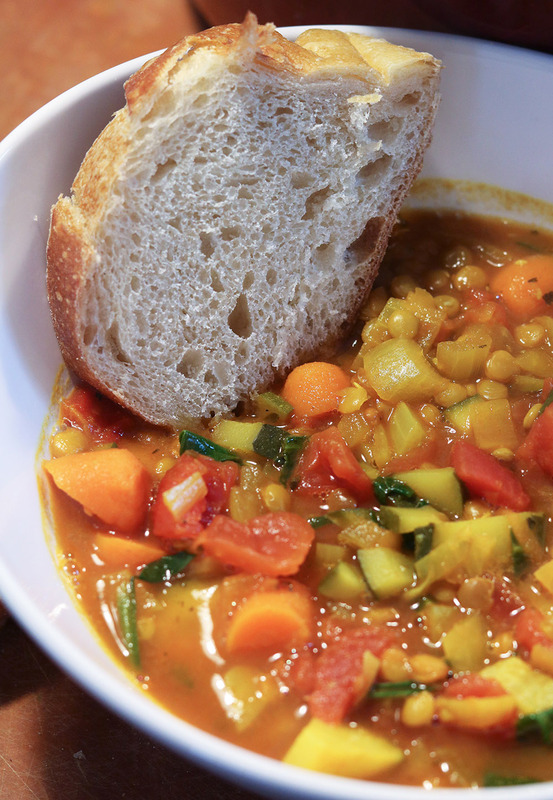 And given that it’s gloomy as heck outside and the temperatures are dropping into single digits, I figure it’s high time I finally share the Spiced Vegetable Lentil Soup recipe I’ve been loving over the last year or so. As old-fashioned as it may be to say this, there’s just something I really really love about a piping hot bowl of vegetable soup in the winter months. It’s classic comfort food to a tee in my book and this recipe always manages to lift my spirits. Of course it doesn’t hurt that it’s also stockpiled with nutrients and flavor to keep me satisfied. While I do follow recipes from time to time, my preferred means of cooking is to throw everything that looks good to me together and spice it up. 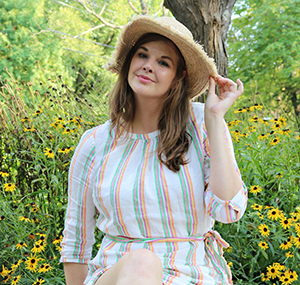 There I’ll be in the produce section of Trader Joe’s, grabbing for anything and everything that catches my eye. 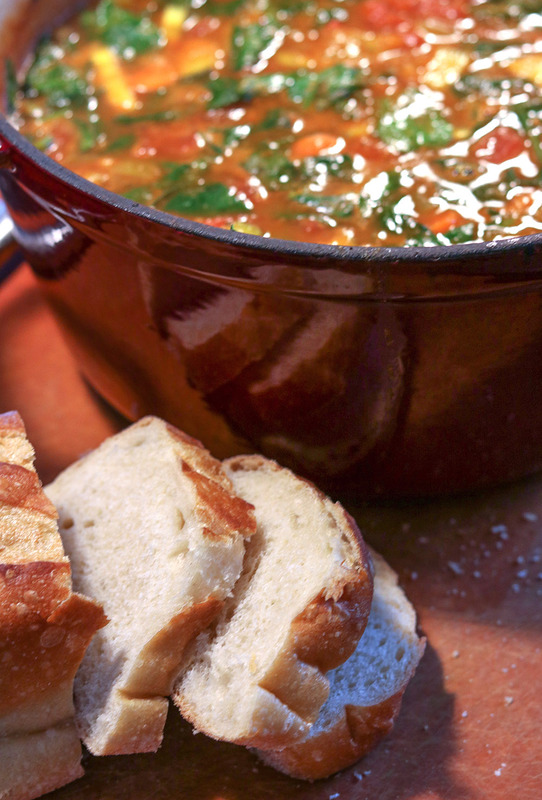 And in doing so, that’s how I developed this Spiced Vegetable Lentil Soup recipe last year. 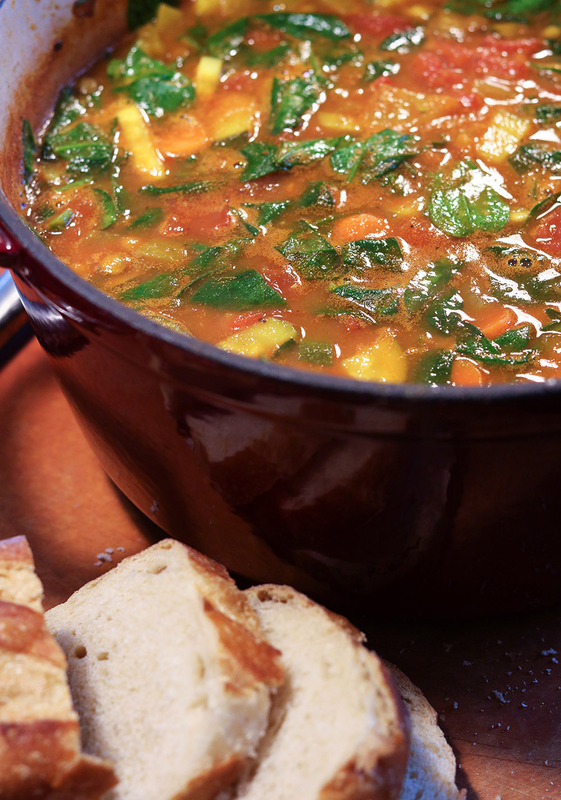 There are obviously countless recipes out there for vegetable soup – but to be honest? The ones I’ve used in the past were kind of boring and outdated. 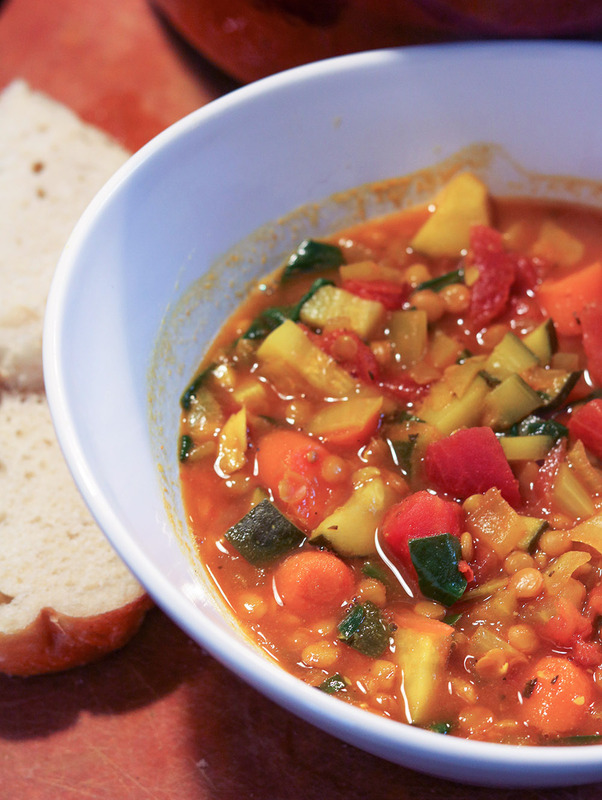 Spices aside, there’s no way I could make a Vegetable Lentil Soup without including zucchini. I just love the way it cooks down, while still adding heartiness and texture to a soup. For greens, I’m listing spinach in today’s recipe but I’ve also made this several times using Swiss chard instead. You really can’t go wrong either way so I recommend using whichever looks better that day at your grocery. To really bring all the flavor together at the end, I finish off this soup by adding in the juice of a fresh lemon. It’s amazing how lemon juice really livens things without adding much of a citrus flavor at all. That’s probably one of my favorite “secrets” when it comes to bringing spices to life! If by some chance you forget the lemon…a couple of red wine or apple cider vinegar will also do the trick. Over medium heat, warm olive oil in a large Dutch oven or pot. Add yellow onion and garlic. Cook for about two minutes, stirring often. Add all of the seasonings (turmeric, cumin, curry powder, oregano and pepper) to your garlic/onion mixture. Cook for another 2-3 minutes while continuing to stir frequently. Everything should now be quite fragrant in the kitchen! Add zucchini and carrots to the pot and stir, coating fully with seasonings. Cook for 3 minutes. Open your can of tomatoes and stir those into your vegetable mixture. Cook for 2 minutes. Pour in vegetable stock, water and the green lentils. Season generously with fresh-ground pepper and stir. Raise heat to high. Once the mixture comes to a boil, reduce heat to a gentle simmer. Cover with the pot’s lid, leaving a partial opening to release steam. Cook for 20-25 minutes, or until the lentils are fully tender. 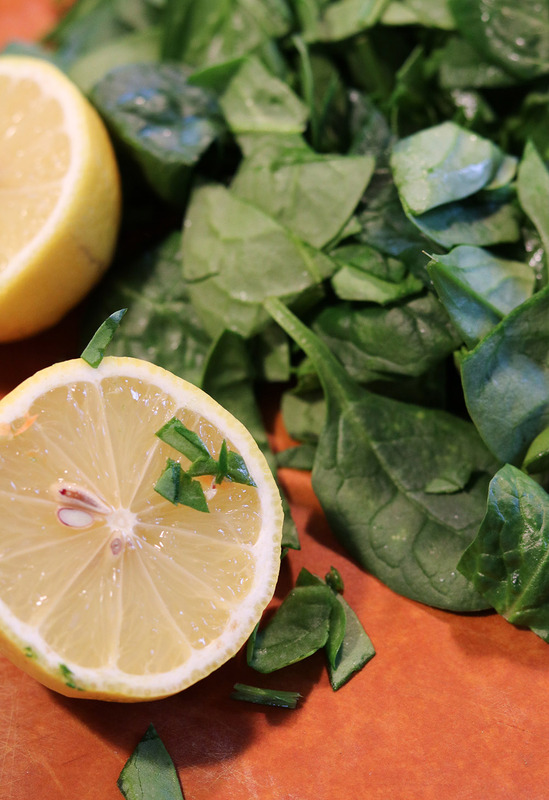 Stir in spinach and the juice of 1 lemon. Cook further until spinach has wilted. Season with salt and pepper, then serve! I like to serve with a nice crunchy French or Sourdough bread on the side. 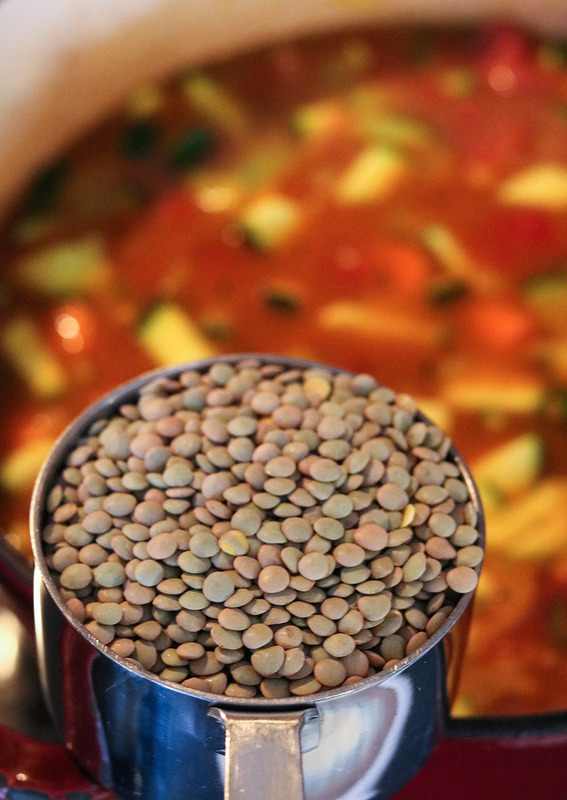 I sincerely hope you enjoy my Spiced Vegetable Lentil Soup recipe! It’s one I turn to again and again because of 1) how flavorful it is and 2) how quickly I’m able to whip this up. There’s not as much chopping as with other vegetable soups, which is obviously nice, and the lentils make this quite filling! As always, thank you oh so much for reading! I had quite a bit of fun putting this post together and hope you enjoyed learning about truly one of my most FAVORITE soups, ever. Like I said, it’s pretty rare that I share recipes around here on Dream in Lace but I actually do have quite a love for cooking and inventing my own dishes. If you like, I’m happy to share more of my favorite recipes if that interests you. Let me know! Looking for more comforting recipes to keep you warm this winter? My Pumpkin Bread recipe is highly addictive and incredibly easy to make.